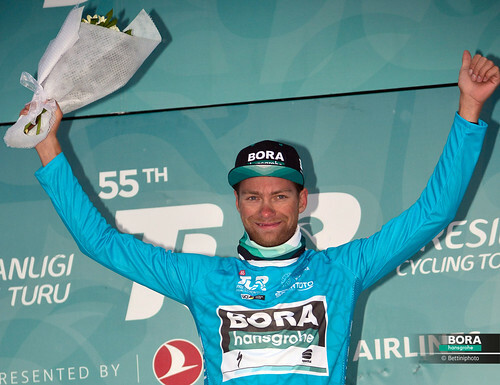 Difficult day for BORA-hansgrohe as Tour Down Under takes on the Corkscrew on stage 4. 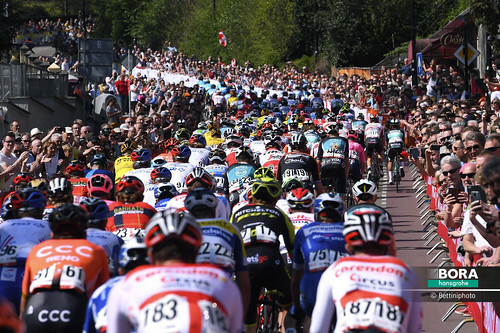 After the opening stages of the Tour Down Under had allowed the sprinters and all-rounders to show their form, it was today that the GC riders would take centre stage. Looming large over the stage profile was the Corkscrew – a 9% ascent that came late in the day and so would prove pivotal. 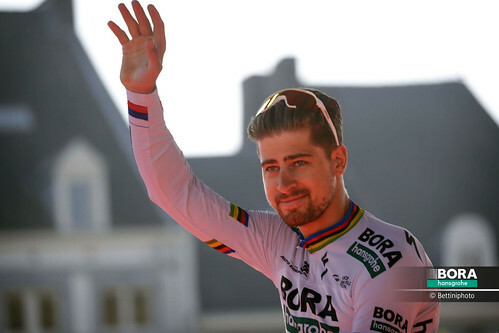 While the break ruled much of the day, it was a select group of GC riders who shook up the standings with a late burst to set off the fight for the overall win. 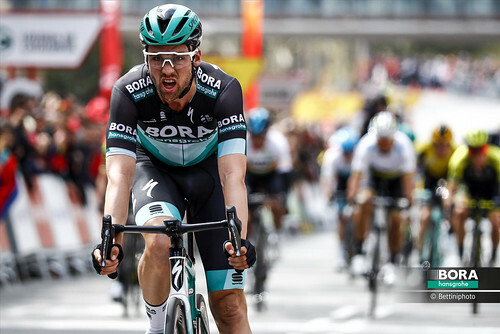 In spite of pushing hard to stay in touch, it wasn’t BORA-hansgrohe’s day, with Jay McCarthy struggling on the final climb, Gregor Mühlberger was the first of the team to finish, coming in 25th on the stage after a hard effort. Riders had no time to warm up today, as it was straight into the climbing from the start of stage 4, and this was how it continued throughout the 129.2km stage. All eyes would be on the King of the Mountains points climb today, the Corkscrew, coming just under 6km from the end of the stage. This 9% climb would be pivotal, whether as a launch pad for a late attack or somewhere the field would be thinned out ahead of the finale. 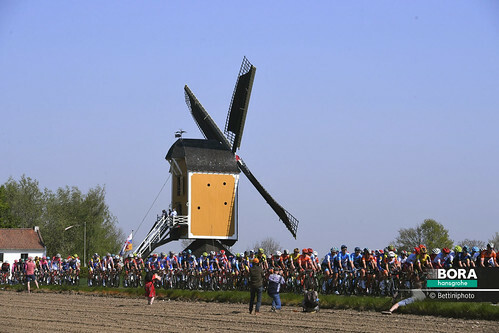 Six riders today broke away, making their move early on before building up an advantage that topped out at more than five minutes before the peloton started clawing back time. In a contrast to previous stages, the weather was cooler and even saw some rain on the course, but this could make the descent of the Corkscrew more treacherous for those riders looking to make an impact on the stage here. Having held on all day to this point, it was on the King of the Mountains climb that the break started to fade, with attacks showing who had the legs to try and contest the stage, but the committed peloton had put in a huge effort to make the catch, sweeping up the last of the break as the GC riders showed themselves for the first time in the race, with the Tour taking on a different tone in the final three days. 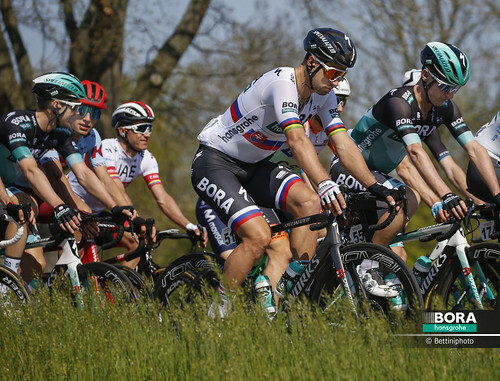 First of the BORA-hansgrohe riders to finish was Gregor Mühlberger, who finished 21 seconds down on the GC bunch, as the team looked ahead to later stages to make an impact.